For a nature-lover, a trip to see animals in Mexico will be the vacation of a lifetime. As one of the most bio-diverse countries in the world, there’s no end to adventures they can have. From thick jungles hiding apex predators to deep seas concealing behemoths, it is the dream destination of any animal-lover. Here are six incredible trips you can take with Journey Mexico to see the animals of Mexico. 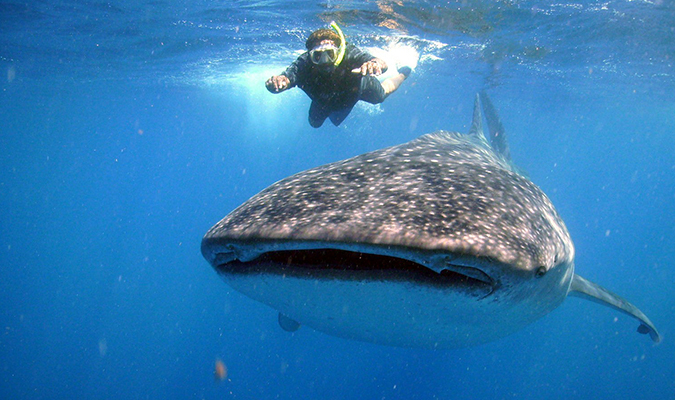 Gentle giants of the seas, whale sharks are the largest fish on the planet. The biggest ever recorded measured a whopping 12.65 m long and weighed around 21.5 tons. But that shouldn’t put you off strapping on a snorkel and diving into the waters with them. Join Journey Mexico on an eight-day aquatic adventure in which you will get to share the waters with these incredible creatures. You will be able to swim side-by-side with these passive creatures, marveling at their sheer size and elegance. The Cave of Swallows is a gaping hole of 205 feet (63 m) at its widest point with a vertical drop of 1,220-feet (370 m). As the largest cave shaft in the world, it’s well worth a visit in itself. However, when night begins to fall, the skies come alive with the eye-catching acrobatics of thousands of birds attempting to return to their cave home. This breath-taking spectacle pits bird against bird as they twist, turn, and tumble in an organized mess. How they don’t crash into one another is mind-boggling. Join Journey Mexico on a three-day trip that includes a visit to see this wonder of nature, while also going on a cultural adventure of the local area. The fertile waters of Baja California are a wildlife lover’s dream. Home to a myriad of sea creatures, there’s no end to the fun you can have. Two of the water’s most fascinating animals can be seen on a once-in-a-lifetime trip put together by Journey Mexico. 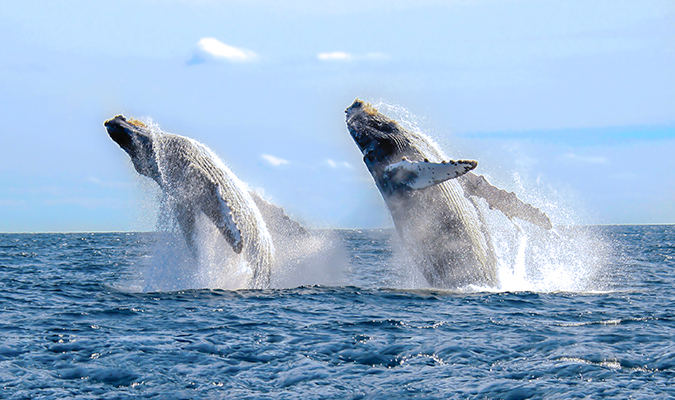 Our private gray whale and sea turtle tour will take you on to the seas for a number of gray whale spotting excursions. Intensely curious animals, gray whales have even been known to approach boats to take a closer look. The trip will also take you with conservationists monitoring the area’s sea turtle population. You will help the team inspect nets and return captured turtles to the wild. The vast Sian Ka’an Biosphere Reserve is the Mexican Caribbean’s largest protected habitat and home to some of the most extraordinary creatures on the planet. Its lush jungles, coral reefs, seas, and canals are teeming with life including pumas, whales, and 366 species of birds. The reserve’s wetlands are also home to American crocodiles. These fearsome pre-historic creatures can reach up to 15 feet long, making them among the largest crocs in the world. 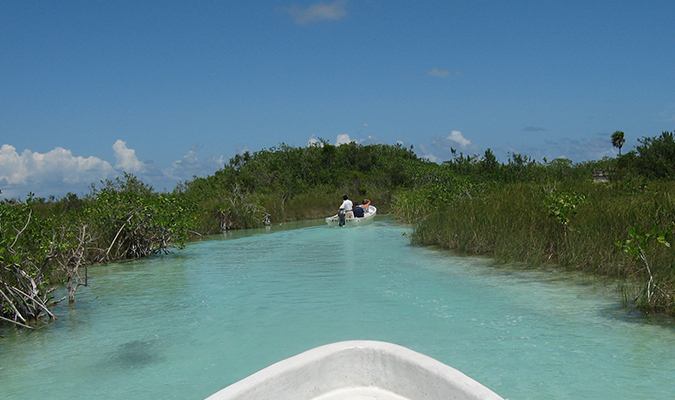 On our 13-day Yucatan Ecotour, you’ll get the chance to explore the Sian Ka’an on bike, kayak, and on foot. You’ll see a myriad of exotic animal life and, perhaps, encounter some of the rare creatures that live within. Mexico City might not be the first place you think of when it comes to animals in Mexico, but it’s home to one of the most curious. The bizarre-looking (and pretty cute) axolotl salamander is found exclusively in the waterways of Xochimilco, on the outskirts of Mexico City. Unfortunately, due to a diminishing habitat, this underwater amphibian is critically endangered. However, adventurers can join in the fight to save these extraordinary creatures by taking our day tour to Xochimilco. 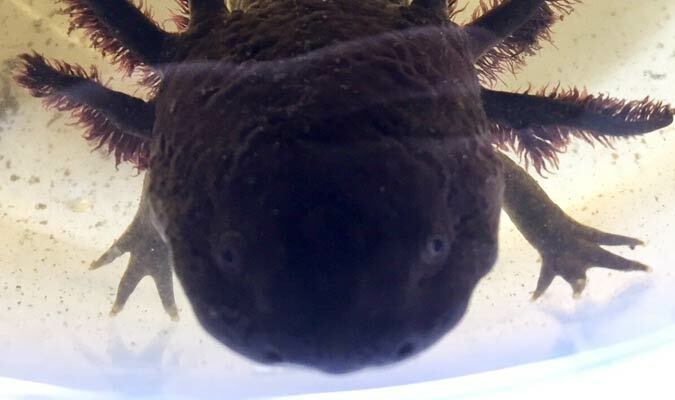 Not only will you learn about the conservation efforts and even meet an axolotl, but Journey Mexico will donate 10% of the profits for this experience to a local organization working to save the axolotl. 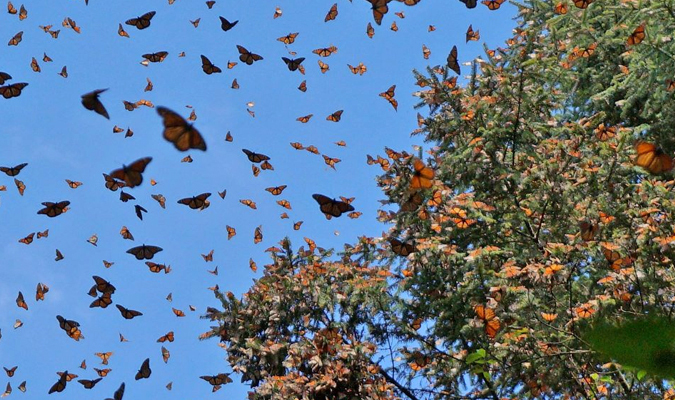 One of the greatest natural spectacles on earth, the gathering of millions of Monarch butterflies in Michoacán is an event every animal lover will want to experience once in their lifetime. This incredible phenomenon sees these delicate insects flap their way from Canada to the Michoacán forests. Join Journey Mexico’s seven-day tour to see the light glittering off their paper-like wings. It truly is a heavenly experience. Want to see more animals in Mexico? If you want to see more of the animals of Mexico, check out our full range of nature and wildlife trips here. Mexico is the best, simply. Interesting places to see wild life.